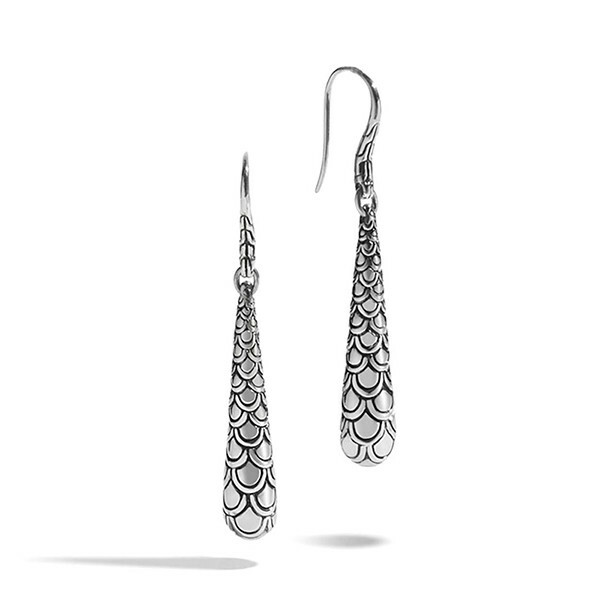 From the Legends Naga collection, these John Hardy earrings are a luxurious touch of fashion. Elongated teardrops of sterling silver fall from a French wire that is hand carved with the classic chain motif, and each teardrop is engraved with the scaled motif of the Naga dragon. 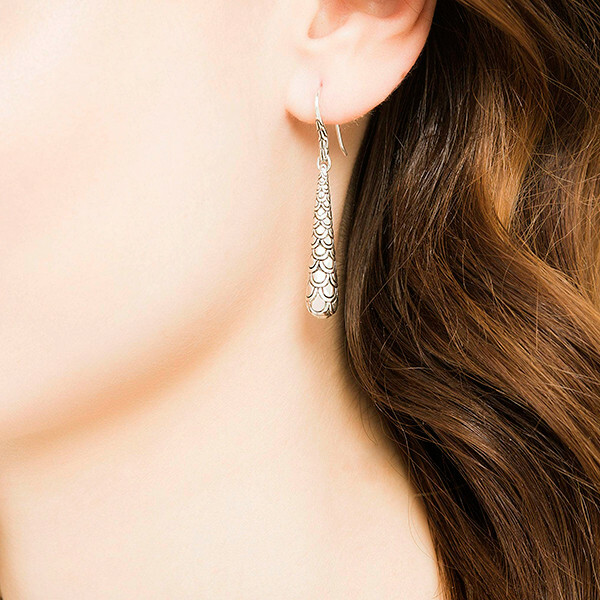 If you're bumming on the beach or dancing the night away, these John Hardy earrings will accentuate your look with style.